Home » thinking » What Will God Be Like in 100 Years? What Will God Be Like in 100 Years? The pace of change today is simply breathtaking. Nothing and no-one is exempt, the only thing guaranteed for the future is there will be yet more change. In the face of the dark days we are in it is a grim and sobering venture as we face the challenges and opportunities of the years to come. The apostle Paul was mindful of the effects of change in his lifetime declaring, “the world in its present form is passing away.” (1 Cor 7:31) What will life be like 100 years from now? We can barely imagine what it will be like in fiver years time! We change, our cities and culture certainly changes, but what about God? You don’t have to be a prophet to predict that in 2116, 100 years from now – God’s love will be infinitely transcendent. Beloved, let us love one another, for love is from God, and whoever loves has been born of God and knows God. Anyone who does not love does not know God, because God is love…. In this is love, not that we have loved God, but that he loved us and sent his only Son to be the propitiation for our sins. Beloved, if God so loved us, we also ought to love one another. The apostle John reaches out with the urgent admonition for Christians to love one another in the very character of God. “Love is from God,” he tells us. What he means is that Christian love comes from God Himself. This love is not natural to fallen humanity. We do not have it as a default position in our character! It originates in God and is a divine gift only to His people. When we are transformed by the power of the Holy Spirit, we are given a capacity for this supernatural love that has God as its source and foundation. It is a love that is flowing from Him to Him. When John says that “whoever loves has been born of God and knows God,” he is not teaching that every human being who loves another is therefore born of God. It is much more than that. John does not stop there. Not only is love from God but God is love. 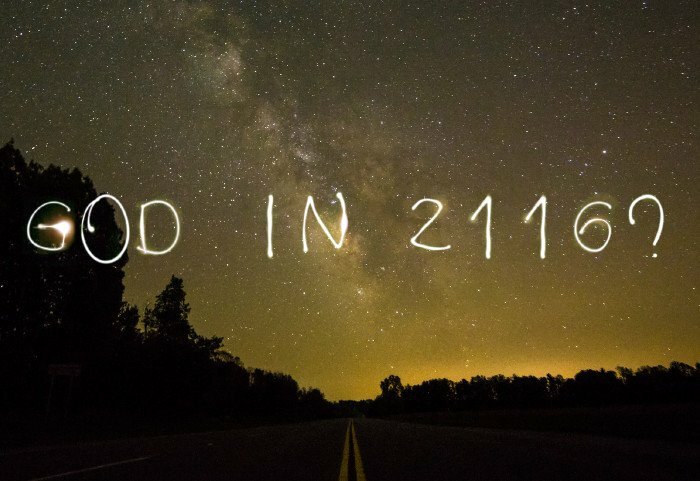 This is the key the staggering truth of what God will be like in 2116 – He will be exactly as He is now. Not the slightest change will have occurred. Love is such an intimate aspect or attribute of the character of God, that He is not just loving, but He is love. It is who He is, and not just what He does. That is the difference between us. We are loving, He is love. He is the infinite expression of love. Any view of Him that neglects to include within it this profound sense of divine love is a distortion of who God is. As Christians we believe in a God who is simple and not made up of parts. God is not one part sovereign, one part just, one part immutable, one part omniscient, one part eternal, and one part loving. Rather, He is all of His attributes at all times. I’ve just finished reading ‘Simply God’ by Peter Sanlon a – it is probably one of the best books I have ever read in my life! Peter Sanlon has helped me realise that to understand any single attribute, we must understand it in relation to all His other attributes. The love of God is eternal and sovereign. I want to add the words, “deeply”, “profoundly”, “infinitely” to almost everything I consider about God’s attributes! The love of God is immutable and holy. We must treat all of His other attributes in the same way. God’s justice is loving and eternal. His holiness is loving and omniscient. Our concept of the love of God will stay on track only as we understand His love in relationship to His other attributes. Whatever else God’s love is, it is holy. His love is therefore characterized by the qualities that define holiness – His transcendence and purity. First, God’s love is transcendent. It is set apart and different from everything we experience in creation. Second, God’s love is pure. His love is absolutely flawless, having no selfishness, wickedness, or sin mixed in with it. God’s love is not ordinary or profane. It is a majestic, sacred love that goes far beyond anything creatures can manifest. No shadow of evil covers the brightness of the pure glory of the love of God. The love of God is in a class by itself. It transcends our experience. Nevertheless, it is a love that He shares in part with us and expects us to manifest to each other. He grants to His people—insofar as is possible given the Creator-creature distinction—His holy love (Rom. 5:5). So, what will God be like in 100 years? Exactly what He is today, no less or more awesome, gracious, kind, merciful, forgiving, tender, compassionate . . . He is everything God could possibly be – and whether we are in heaven or on Earth, that will be our continual bliss-filled, awesome experience.